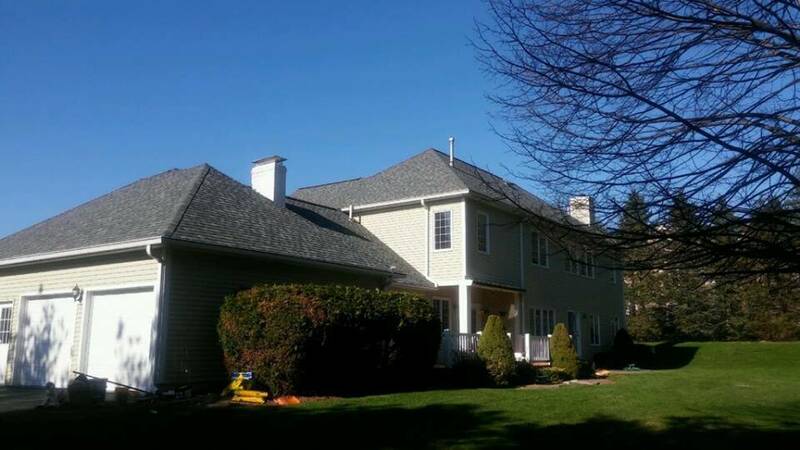 Mario’s Roofing had replaced the roof on this home in Randolph. This large home was having a range of leaking issues and the old roof was at the heart of these issues. A brand new roof helps protect the home and it also looks beautiful!